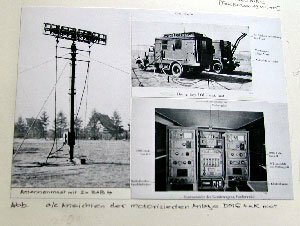 The world’s first telecommunications network was set up in Europe using the Dezimetergeraet DMG-5K, code name "Michael." H. E. Hollmann, consulting for Telefunken, developed the transmitter and receiver in 1936. See US patent no. 2,092,069 below or click here to download patent. The unit operated on a wavelength of 50 - 60 cm with frequency modulation (FM) and 2,500 units were delivered between 1940 and 1945. A network of relay stations located 50 km apart was installed over a total distance of 50,000 km as shown on the map below. 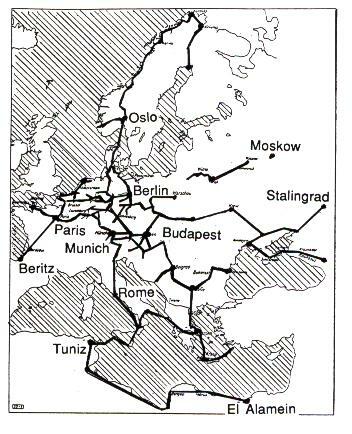 Communication from Berlin to the coast of France, from Norway to the Black Sea, from South Italy to Greece to Sicily and on to North Africa was possible. During WWII, soldiers could call home over Christmas and talk to their families. A second type, code name "Rudolf" was developed and deployed in 1942. 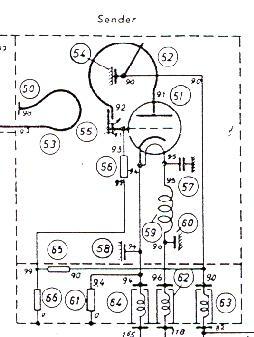 This unit had 9 telephone or 27 telegraph channels and operated on 50 cm with FM. 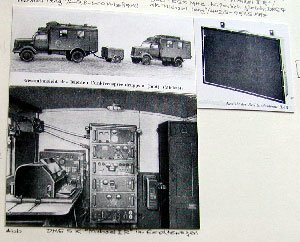 The Deutschen Post used both of these units until 1954. See "Die Richtfunk-Verbindungsanlage IDA 22" by von G. Ulbricht. Telefunken-Zeitung, No. 92, October 1951. "Dezimeterwellen im Dienste der Nachrichtentechnik", Funkschau, Heft 18, 2 Sept. 1950. 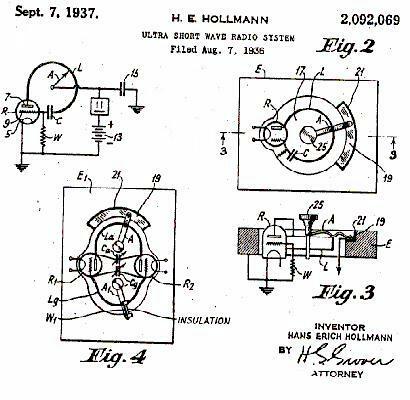 The transmitter-wiring diagram and Hollmann’s patent are shown below for comparison. This patent was applied for in Germany in June 8, 1935.